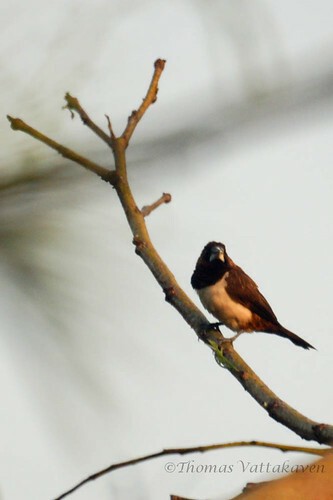 Most of the birds of Karimannoor that I`ve featured here previously are insectivorous. 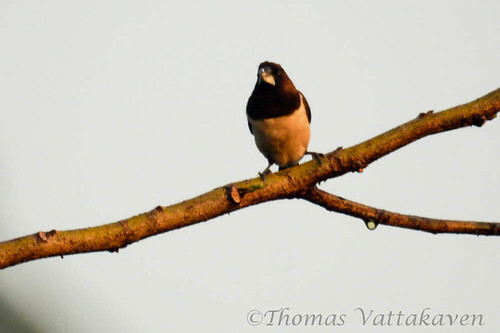 However there is one seed-eating species present – The White-rumped Munia (Lonchura striata). 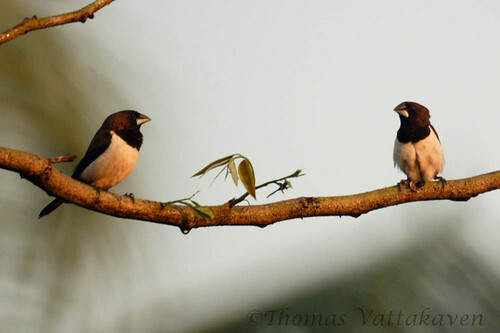 This bird, which is also called as the White-rumped Mannikin or the Striated Finch, is a small bird belonging to the finch family. 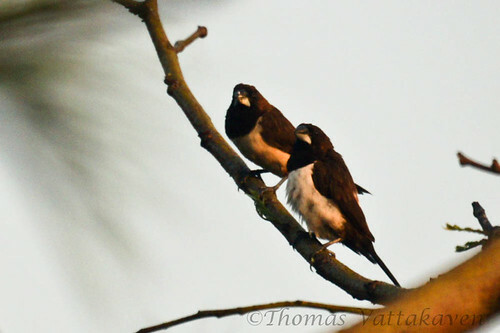 The adults are brown above, until the breast and white below and the sexes are alike. 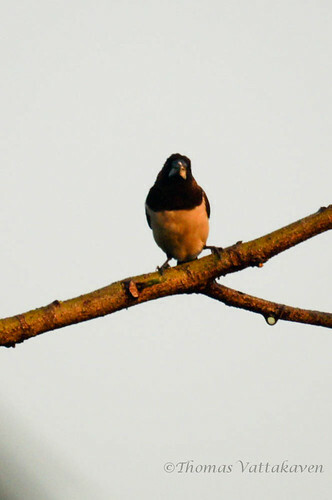 The bird is commonly seen in South and southeast Asia and is a resident breeder in most parts. 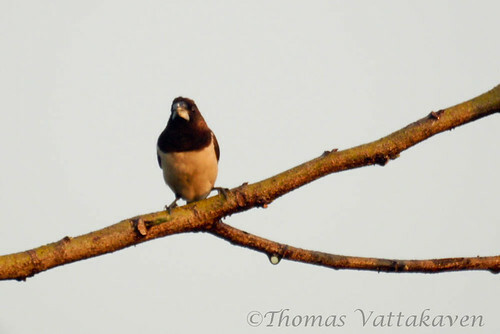 These birds are not very conspicuous and generally keep to the grasslands and undergrowth, thus are not easily noted even in their numbers. However, they may occasionally become pests of grains. In many parts of the world, they are kept as pets.